Understanding odds is vital to successful sportsbetting! While there is always an element of unpredictability in sportsbetting, there is also a lot that can be understood and as you keep placing wagers, your insights and skills will grow. One of the most important concepts is how various odds work. If you see odds of 9/1, for example, the likelihood of whatever event they are on actually happening is 1/ (9+1), or 1 in 10. A good way to think of this is that there is 1 chance the event will happen and 9 chances that it won’t, making 10 possible outcomes all in all. Fractional odds can also be used to calculate how much money you’ll win if your bet is successful. In the formula above, for every B-value you’ll win the B-value amount of coins, plus your original stake. This means if you have odds of 9 to 1 you win 9 coins for every 1 coin you wager as well as the coin you put down in the first place. In other words, for every 1 coin you bet in this case, if you win you will get 10 back. As you can see, there’s a lot more to consider than when you’re playing real money slots games. Betting involves a lot more mental consideration than these exhilarating games of chance. 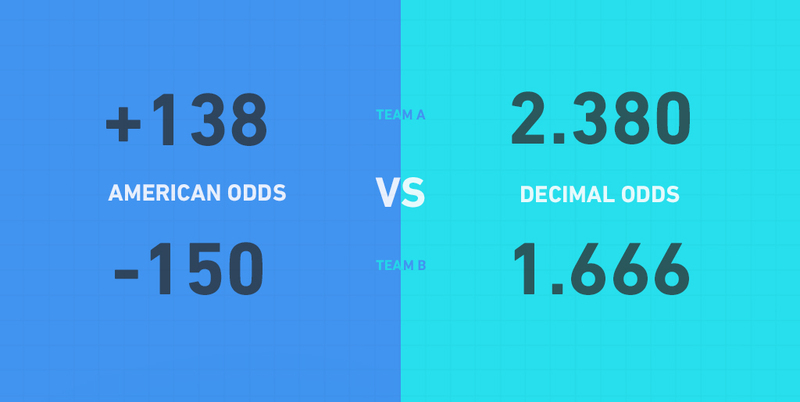 The favoured betting type in Canada, Europe and Australia, decimal odds are simple to understand and show you what your return would be without you having to calculate it. When you’re under pressure this can make it easier to make the best decisions, and if you can’t adjust they type of odds displayed on the betting site itself using an odds convertor to change other odds to decimal odds is very simple. With decimal odds, you stand to win whatever the figure of the odds is for every coin you bet. In the example above, the decimal odds that you would be given would be 9. This is calculated by dividing the numerator by the denominator in fractional odds and adding 1. If we continue from the example above, this would be 9/1 + 1, which would give you a total return of 10 coins for every 1 coin you bet. 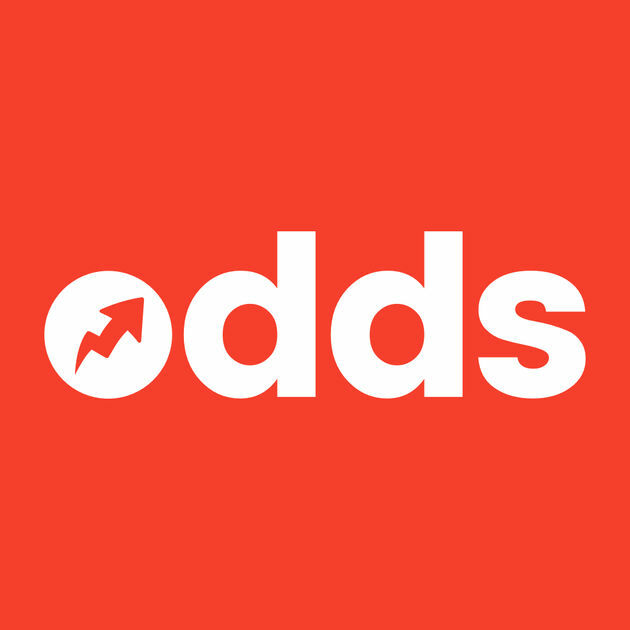 American odds are popular in the United States and are also called moneyline odds. They are the opposite of points spread odds, which are also widespread in America and adjust the final score of a game. Based on the differences in the teams’ strength, one will have points added to their final score and the other will have points removed before the actual winning bets are determined. Moneyline bets are the opposite to points spread bets, and refer to straight-up odds. If the odds of a game are even, you won’t see any moneyline symbol. If they’re better than even there is a + sign in front of the number and if they are worse there is a – sign. With our fractional odds example of 9/1, the moneyline odds would be+900; if the odds were 1/9 they would be -900. Moneyline odds can also show you how much you win if you bet 100 coins, or how much you need to bet before you’ll win 100 coins if you’re successful.